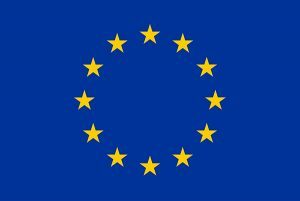 Horizon 2020 project MySustainableForest seeks the provision of satellite services for integrated forest management. 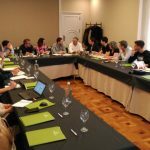 Project partners carried out two important milestones in Pamplona, Spain, on the 26th and 27th of April 2018. 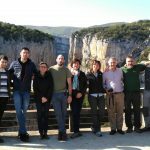 First, the review of the project after six months of activities and second, meeting with local forest management stakeholders willing to introduce the defined services in their management tasks. 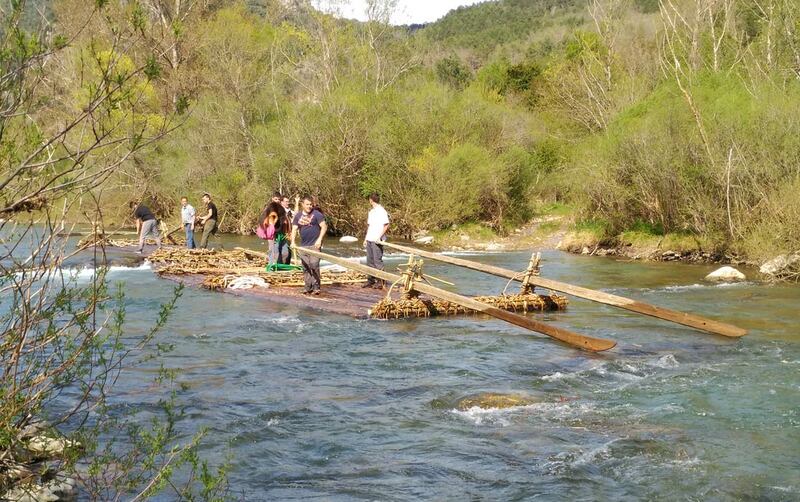 The consortium gathers eleven partners with complementary capabilities: large aerospace IT (GMV), SME’s involved in forest management (föra, Madera+), forest owners associations (CNPF, FORESNA, FOAL) and forest and wood research institutions (RAIZ, CFRI, UFE, EFI). FORESNA, the forest owners association of Navarre, hosted the two day event, gathering and giving voice to important local stakeholders along the silvicultural and wood market chains, from forest owners and production managers to Public Administration land planners and wood transformation industries. MySustainableForest appreciates the attention and services provided by the Professional Medical Association of Navarre. The sessions begun with a round table in which stakeholders boldly expressed their needs for more efficient and integrated forest management practices so as to reach higher economic revenues through the output commercial channels. 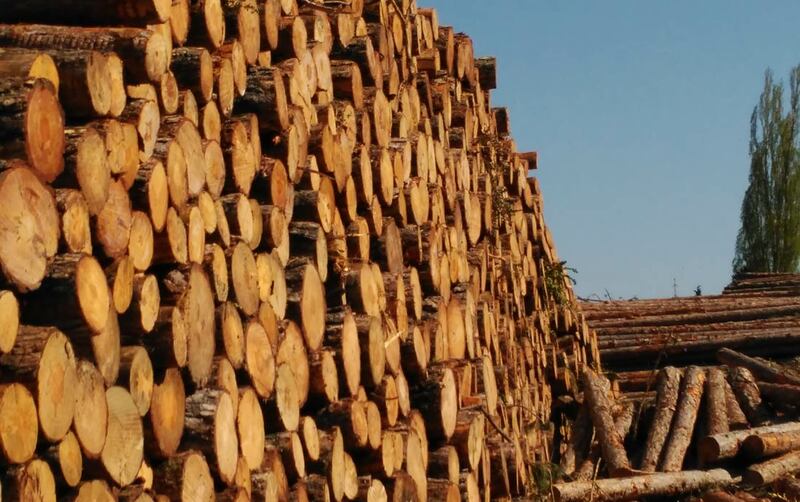 In this context, the industrial poplar producer BOSQALIA pointed out the potential of weekly satellite observations for early detection of plagues in plantations, for planning clear cuts and for soil classification and characterisation prior to plantings. 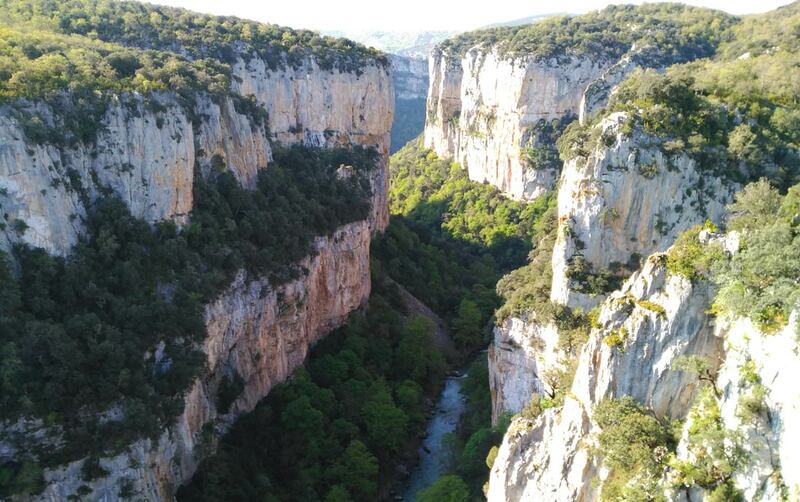 The representative of the Forest Department of the Government of Navarre raised the need to use Earth observation (EO) in the climate change prevention strategy designed for Navarre; currently, senescence of large forest masses due to the offspring of fungi appears quite obvious. Yet, satellites can provide the scientific evidence of the critical thresholds for forest health in the global scenario of climate change. 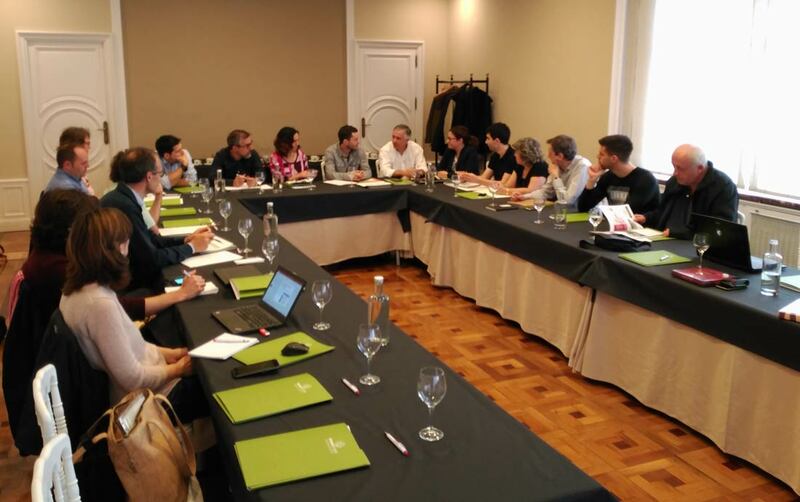 The Union of Foresters of Southern Europe, USSE, referred to the strategy for forest infrastructure maintenance in Navarre. 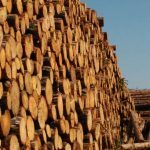 Forest management costs and wood revenues depend on the access for maintenance and logging. 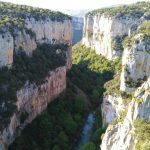 High quality satellite data and LiDAR are key for updating the location and condition of forest access infrastructures. 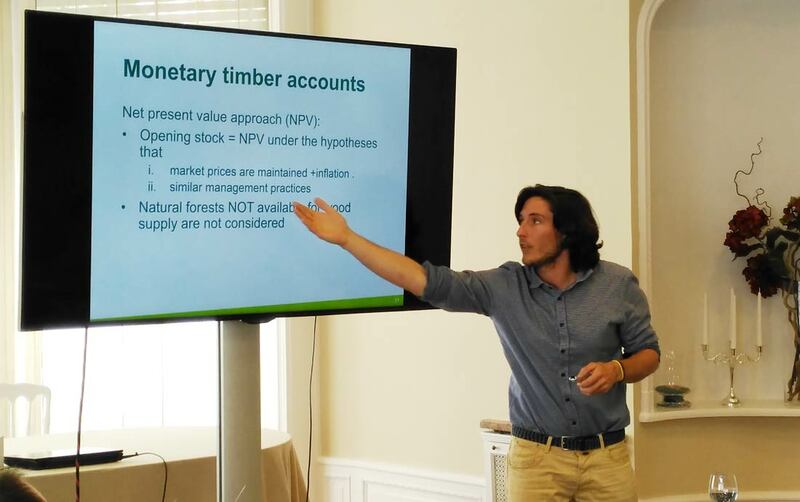 TRACASA, a Navarre Government owned company focussed on cadastre, pointed out further forest management needs to be aided with EO, specifically: dasometric stand variables, biomass volume, woods property limits for cadastre enhancement and remote forest parameters for a cooperative forest management beyond single property management. In the same stakeholder category, GAN-NIK emphasised needs relative to near real time monitoring, forest change detection in relation to leaf area index and carbon production. The Public University of Navarre, UPNA, was present through the Department of Environmental Sciences, which has monitored forest station sites over decades, thus offering excellent quality ground data to correlate with EO data for parameters such as evapotranspiration series, leaf nitrogen content, phenology cycles, leaf area index for the April-August period, crowns density and extend. 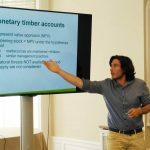 The morning session concluded with a detailed presentation of the socio economic services developed by MySustainableForest partner EFI, based on the System of Environmental Economic Accounting (SEEA) proposed by United Nations; SEEA integrates economic and environmental data to provide a comprehensive view of the relationships between economy and environment and the stocks and changes in stocks of environmental assets, as they bring benefits to humanity. The SEEA generates a wide range of statistics, accounts and indicators with different potential analytical applications. It can be adapted to countries’ priorities and policy needs while providing a common framework, concepts, terms and definitions. The afternoon session was dedicated to the progress review of the project amongst partners. Interaction with local forest and wood chain stakeholders continued on the second day. 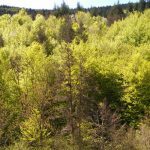 FORESNA arranged a field visit to the local areas of interest, for partners to gather first-hand knowledge of forests characteristics and wood management practices. First stop took place at a logged-down pine plantation, noting the log calibration on the basis of the industrial use. 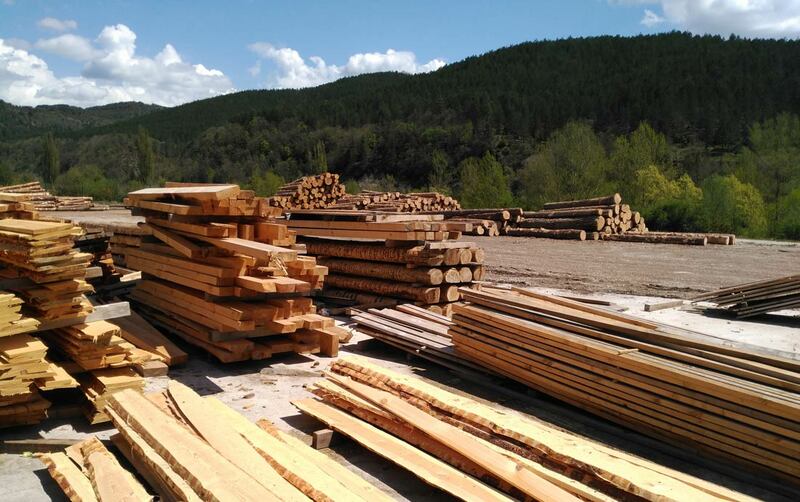 Selective logging techniques were shown, as well as access infrastructure maintenance, wood storage conditions and transport conditions to nearby transformation industries. 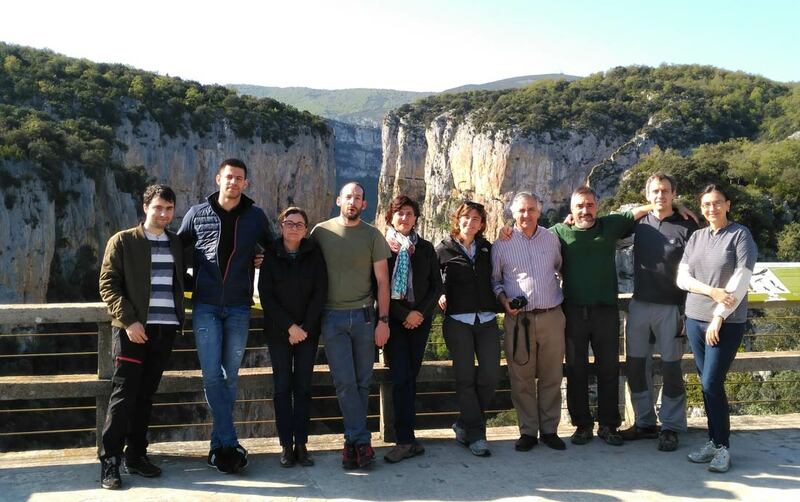 The second stop took place at the Pyrenees Nature Interpretation site in Ochagavía, which allowed an overview of the local forest land tenure and the traditional wood management practices followed in the region, in context of the historic and economic cycles experienced in the last 70 to 80 years. 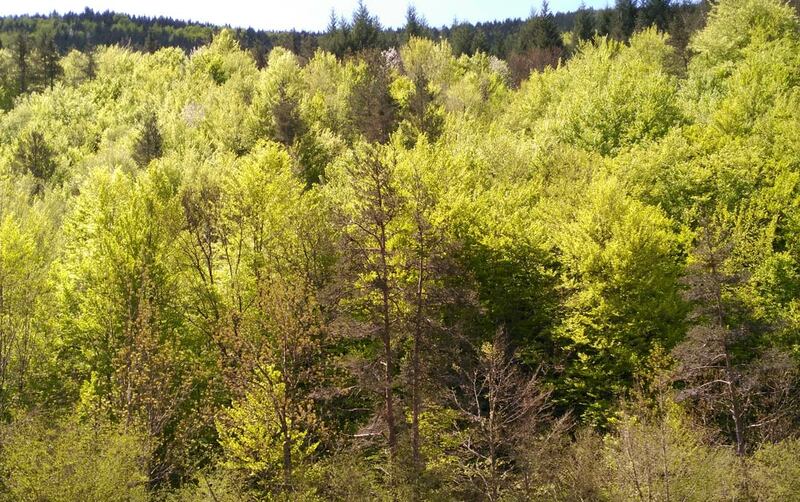 The third stop allowed project partners to visualise some management problems, namely mixed forest of beech and pine and the low production rates of plantations preformed in low quality sites; the same location, however, allowed seeing the good forest management results of multiple forest properties exploited under a cooperative pattern managed by FORESNA. 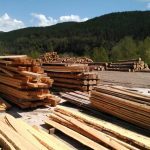 Next, the group visited a local sawmill in the Roncal valley, devoted to laminated beech and pine for special industrial packing. A lively dialogue was opened on subjects such as wood handling volumes, storage capacity, time and environmental conditions, plagues and treatments, machinery and infrastructure maintenance, end clients and market perspective. 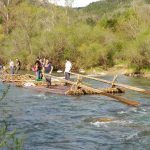 Luckily, the group could attend to the traditional timber raft or “almadías” down the local river, showing how wood was historically exited from the valley to the lowlands, into larger consumption centres, and even to Mediterranean ports for ship export.